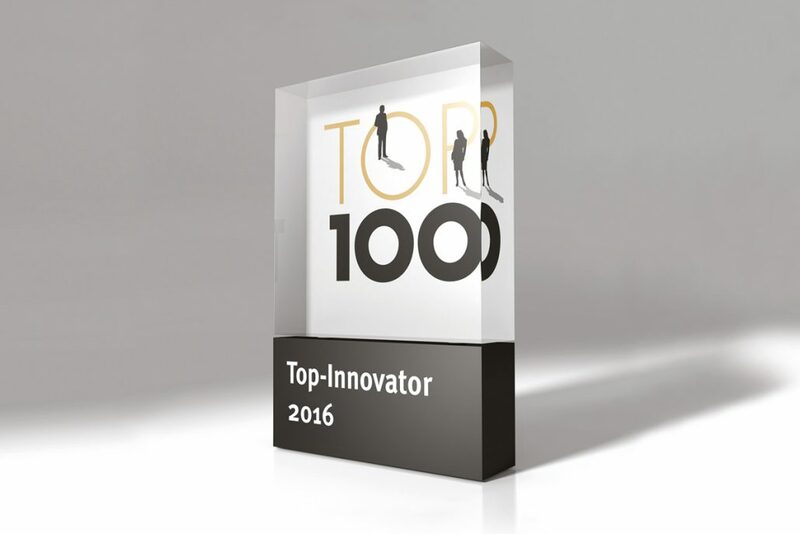 TOP 100 awards the most innovative medium-sized companies in Germany for the 23rd time. This year, prudsys AG is part of this elite group. The innovation management and innovation success of the Chemnitz-based company was first evaluated as part of the selection process. Ranga Yogeshwar presented the winners with this honor. prudsys AG, technology leader for omni-channel personalization in retail, has been awarded the TOP 100 seal. Whenever online shops are looking for personalized product information, automated marketing measures or dynamic pricing, they can turn to the Chemnitz-based company. The company was founded in 1998, recognizing early on the need for personalized customer communication: “We were the first to establish the field of real-time recommendations a few years ago with ‘Quelle’ “ says Jens Scholz, managing director at prudsys AG. The system is based on intelligent, self-learning algorithms that analyze the purchasing behavior of each individual customer, responding individually in real time. This allows the generation of products and other content that match the personal preferences of the user. To be successful in this fast-paced market, companies must have flexible innovation processes and good idea management. The senior management itself dedicates 80 percent of its working time to innovation. To further expand its leading position, the IT specialists also rely on close cooperation with renowned scientific institutions. Success in innovation is also measured by the success of prudsys AG customers. Many of the most successful online retailers have been using the prudsys Realtime Decisioning Engine (prudsys RDE for short) for years. That includes 1-2-3.tv, OTTO, bonprix and Klingel. To sum up, prudsys entered the TOP 100 innovation competition with a very strong case. Over 4000 companies were interested in participating in the TOP 100 this year. The companies were evaluated by the Department of Entrepreneurship and Innovation at the Vienna University of Economics and Business Administration. They looked at over 100 parameters in five categories: “Innovation-friendly Senior Management”, “Climate of Innovation”, “Innovative Processes and Organization”, “Innovations Marketing” and “Innovatory Success”. Among the companies in the TOP 100, 97 are national market leaders and 32 are world market leaders. The TOP 100 mentor, business journalist and TV host Ranga Yogeshwar, honored the top innovators as part of the German medium-sized business summit on 24 June in Essen.